Are you looking for a PR company in Auckland who provides on target, on time, on-budget communication? Call us today for a no-obligations appraisal. Every organisation is different, which is why it’s important to gain a deep understanding of what you need (which sometimes may be different to what you thought you needed!). are senior-level, highly experienced public relations, marketing and social media marketing practitioners. That means our work - and clients' PR budgets - are focused on what will make the biggest difference to getting a successful result. Don't just take our word for it - see below for what some of our Auckland clients have to say. We are a full service public relations company, who is based in Newton, Auckland. If you don’t know where you are going, then how are you going to get there? 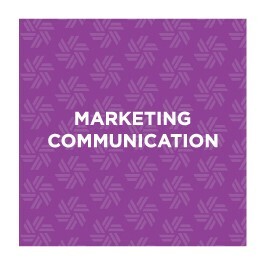 Our strategic PR plans ensure everyone is on the ‘same page’ regarding your PR and communication. There’s little room for error when the pressure is on. 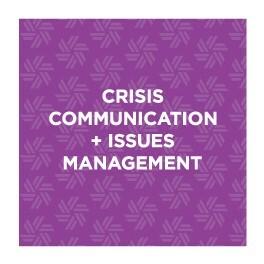 We may be a PR company in Auckland but we provide crisis communication services to organisations throughout New Zealand. We help clients with PR in Auckland, New Zealand or overseas. You can count on us for insightful, up-front PR and communication advice. Call us today on 021 251 2628 to find out more! Let’s face it; media interviews can be scary! Learn how to control media interviews. 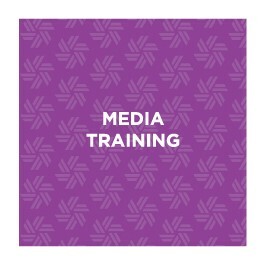 Our media training workshops can be held in Auckland or any other centre. Great social media results start with having a good strategy. We can assist with all aspects of digital and social media marketing and public relations. We have considerable internal communications experience. Contact us if you are looking for a PR company in Auckland that can assist. We have undertaking PR and marketing communication campaigns for a wide range of organisations, including music festivals, natural health products…and more. "We engaged Cadence Communications to lead last year's Macular Degeneration annual Awareness Week campaign. Their collective insight, experience and commitment led to a very successful campaign that worked extremely well for us." Cadence Communications is owned by highly experienced public relations professionals Anna Radford and Suzanne McNamara and draws upon a team of PR, digital marketing and marketing communication experts. The service is about far more than outputs and outcomes; it’s also about doing the right thing by our clients at all times by being: resilient, considerate, principled, resourceful, fair and open. You won’t get any b****hit from us! (From left): Anna Radford and Suzanne McNamara. This campaign was a finalist in the 2016 SMAKL social media awards and also achieved Highly Commended in the Public Relations Institute of NZ's 2017 public relations awards. Want to know more about how we can take the stress and hassle out of your PR and communication? Contact us today for a no-obligations consultation!